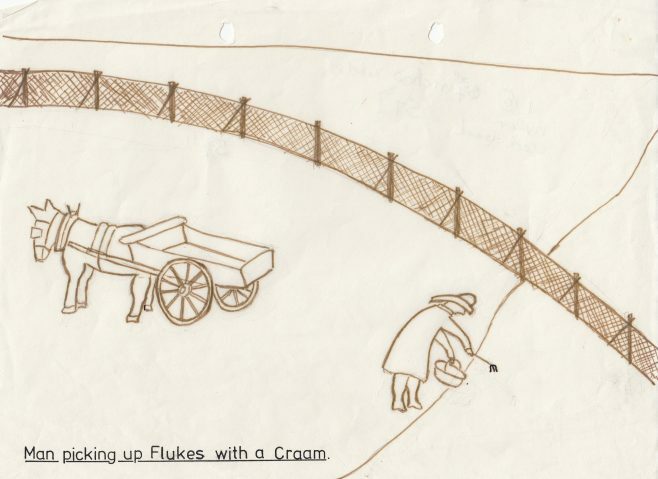 Sketch of a fisherman picking up flukes or flatfish with a long handled tool called a ‘craam’. A cart and horse are pictured. Bob Parkinson’s oral history is in the archive.